On Friday, we decided to take our first jaunt into the city. We rode the metro into Union Station, then we decided to stop by my office, just to make sure that I knew where to go. One of the receptionists was nice enough to give us a quick tour. 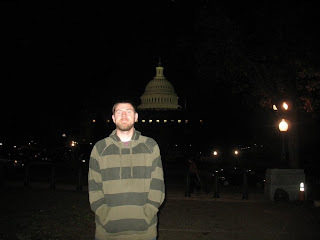 After that we walked toward the mall and got our first view of the Capitol building! It was all a bit surreal.